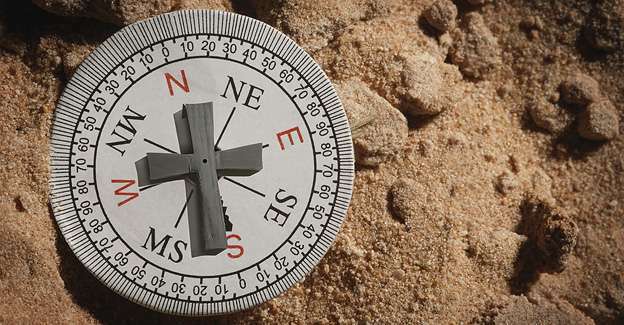 "God's north for you only needs courage to be realised." Suzanne Waters, on the night of her retirement, is suddenly faced with a series of unexpected crises. Whilst driving home from the event, Suzanne's heavily pregnant daughter-in-law Jessica begins having contractions. Alone, and far away from anyone else, help finally comes from the most unexpected of sources: Eli, a troubled young man with dreadlocks, who sees a lone, stranded car and decides to steal it. But when Eli discovers the pregnant woman in desperate need of a hospital, he knows he needs to make a choice. Steal the car or save a life. In one miraculous moment, the directionless lives of Eli, Suzanne, Jessica, and her husband David, are all brought into collision with each other. Together, through pain and personal struggle, they will discover not only how much they will come to need each other, but that God has a plan for each of their lives. Their very own True North. I think it's fair to say that the Christian film industry is going from strength to strength at the moment, despite being still quite a niche industry. With films like "War Room", "Risen" and "God's Not Dead 2" having some reasonable success, particularly in the US Box Office. the UK market is proving a harder one to crack, but thankfully we do get these releases on DVD and as they are not big budget, eye-popping special effects bonanza's they carry themselves pretty well. 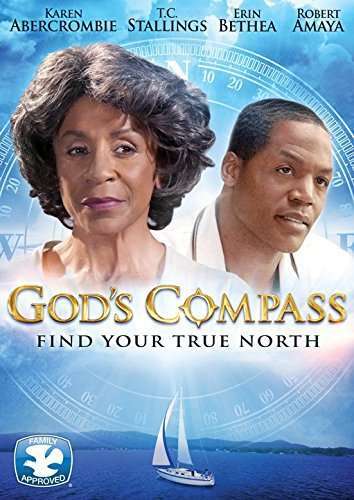 The latest one to come across our desk is the rather good "God's Compass" which is a well-paced emotional story about love and also finding God's will in our lives, and following it, sometimes when it could cost you everything. When you have watched a few of these films you will notice that there are some actors and actresses that seem to do the rounds within these titles. Karen Abercrombie and T.C. Stallings are two who are both in "War Room" and this title. This time they play a Mother, Susan, and Son, David which is great because it is an easy dynamic to accept. Once again Karen is cast as someone older than she is, yet she is quite believable as the retired principle who is facing a number of issues. Clearly she still misses her late husband, but was proud that he lived long enough to see their son become a Doctor. Her husband had been a wise minister at his prime and passed on advice to the current minister of the church who Susan consults for advice through this time, and he passes the same advice that she already knows in her heart back to her. Her son David is the head of the ER in the local hospital, but is driven to be the best at the cost of attention to his wife and child. He is split between his job and his family and the urgency of his work often wins. 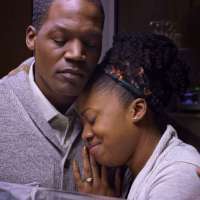 These situations are brought to a head when Jessica, Susan's heavily pregnant Daughter in Law is driving alone when she starts having early contractions. She has left her phone behind and is stranded and in serious medical difficulty. At that moment Eli turns up, having been living on the streets, sees a stranded car and a woman inside and decides to steal the car, but in the moment knows that the right thing to do is to get Jessica to hospital. This comes with a risk because he is known and wanted by the police. When he gets Jessica to the hospital he is arrested and held over for sentencing. Thanks to Eli's help Jessica and her baby survive, although the baby needs to have intensive care treatment because it is very premature. Unaware of his arrest Jessica asks Susan to find the boy, which she does and visits him in jail and at that moment feels compelled to help him in any way she can - but she doesn't know why. I know that is a long overview of the story and I have tried not to spoil the twists and turns and there is a way to go before the resolution. Each character here must go on a journey, and that's a good thing because otherwise there is no point in the storytelling. Because it is a film you know that certain things will happen. Susan, for example, has the courage of her convictions to help the boy - but this costs her, financially, emotionally and even spiritually. David has a choice between the striving of work and building a career and his family. Marital strife is quite often an element of Christian films. It's not got the prominent place in the plot that it has in films like "Fireproof" or "Courageous" but it's there in the background and is a serious element played very well by the actors and creative crew of this film. Eli is played by Joey Ibanez who plays his character brilliantly. There is a hardness to the character, but also an immense vulnerability which is hard to pull off. I do think the description above put out by the studio is quite funny"Eli, a troubled young man with dreadlocks" I am not sure what the dreadlocks have to do with anything other than convey someone's prejudice! There are some funny, almost true to life moments which steal scenes. For example the family, with Eli, get together to pray for the baby undergoing surgery in a family waiting room and as they start to pray one guy close to them looks uncomfortable and edges away. I love these little moments! They make the film feel real and grounded which works well. This film has a lot of depth to it on an emotional level. It is brilliant at tugging the heart strings, like a very good TV movie. At some points the director has tried something different, such as a chest-camera for David when he is running home and venting his frustration and having an epiphany. There are other bits of this movie where there are some tracking shots which judder slightly, this is probably due to the films conversion process to the UK / European standard rather than the director or the cinematography. Overall this film just works on the right levels. The Christian message is not so heavily put across as in some films, but more about a reliance on God and letting Him lead.